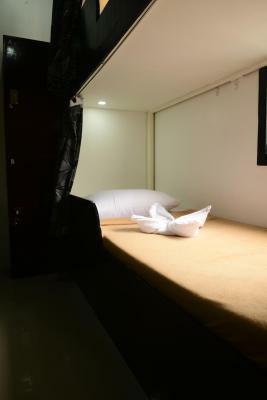 Lock in a great price for Island Hostel Boracay – rated 8.4 by recent guests! Friendly staff, perfect location, comfortable beds, hot water. Best value for money! Could use for more restrooms/toilets. there is a place on the roof top that you can hang your wet clothes after washing them on the comfort room. It was very convenient. very Near the beach and the walk to the main road is also not far. So far the pathway from the main road to the hostel is not crowded and not far. very convenient, But there are only 2 bathroom (1 bathroom with toilet). So far i was able to adjust on the situation. The only thing we liked was that it is so close to beach. I like that the location is almost at the beach front. The staff is really nice and helpful. 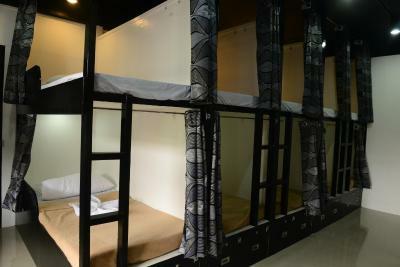 The privacy and the size of the beds is very good. International plugs really make a difference. The location is just perfect. 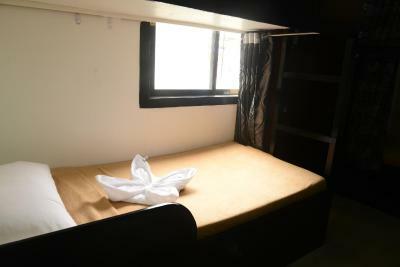 What I like most is the cleanliness and friendliness of the staff, and also the comfort of the bed itself. The location is very much accessible to the beach front. 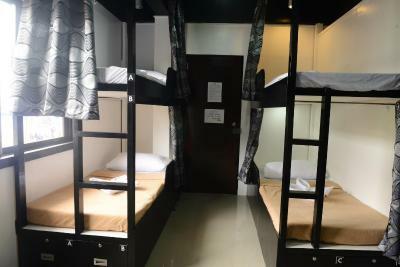 Island Hostel Boracay is located in Boracay, a 2 minutes' walk from Boracay White Beach. D'Mall Boracay is 1,000 feet from Island Hostel Boracay, while Willy's Rock is 650 feet from the property. Godofredo P. Ramos (Caticlan) Airport is 3.7 mi away. 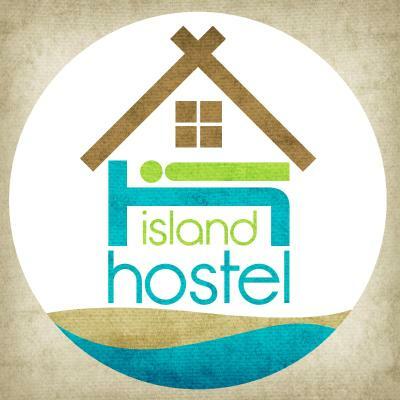 When would you like to stay at Island Hostel Boracay? 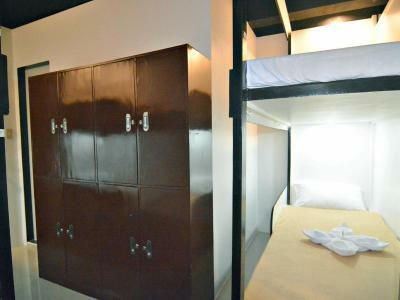 House Rules Island Hostel Boracay takes special requests – add in the next step! Please inform Island Hostel Boracay of your expected arrival time in advance. You can use the Special Requests box when booking, or contact the property directly using the contact details in your confirmation. Staff were really nice, especially Maureen. 🙂 Location is perfect, just few walks into the beach. Accessible as well to all shops and walking distance to D'Mall. Only two toilets for everyone but it's clean and with hot and cold shower. Airconditioner is perfectly working. 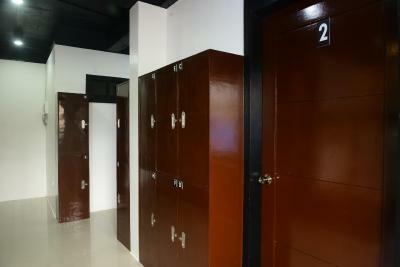 Big lockers for your belongings. Fleece blanket and new towels provided too. 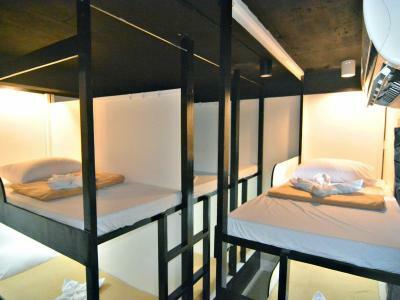 The hostel has only 2 restroom/showerroom for everyone (all guests) and it is within the bedroom. Guests can even hear you pooping which is so awkward. The guests were mostly a family and not backpackers and they are so noisy. 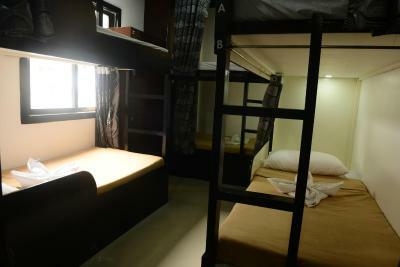 There were only 2 bathrooms shared by occupants of three dormitory rooms. You have to wait for some time before you can use it especially in the morning. Location is near the beach front! It's also near different establishments and restaurants. 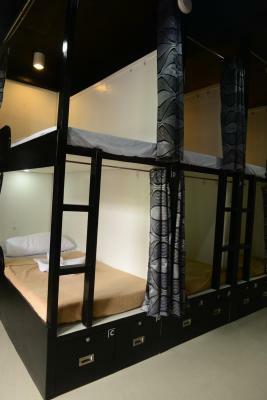 The dormitory bed is bigger than the usual hostels I've stayed at. Everything perfect. But a common area is missing so it´s not social at all. But its directly at the white beach. Awesome staff! There is not enough bathrooms and as showers are together with toilets it might be stressful sometimes. My locker could be open without even turning the key. Other girl was able to open 4 lockers including mine with her key so be careful. Nothing was stolen but in such case it is very easy to loose your stuff. Every bed had light and 2 sockets which was very comfortable. Each bed had curtains to provide some privacy. Bed was very comfy. Wifi not always reliable, no commons. No fridge or drinkable water source. Only two bathrooms, there's some waiting sometimes. It was an over sandwiched hostel. Aircon is turned off even you are in the room, you have no space to arrange your things and lastly it has 2 cr shared by 30+ guests. 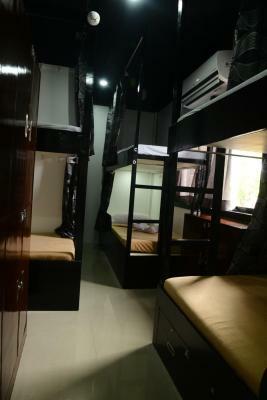 The room has only should to should gap between double deck beds. Definitely, will look for another more spacious on the next visit. We exchanged beds with my friend and so thus our keys & the receptionist named Mary Cris also changed the letter on our record and I was confused why she also get my key and never return it. I looked for the key to her because I need to put safely in the locker my valuables but she said she didn't get my key resulting to an argument later that night. She was mad and uncourteous and was so sure that she didn't get my key while I was also so sure that she never returned it because I was a little confused why she get the key when I already have the right key after the exchange of beds. and what's worse is that I have to pay 500 pesos for that loss which I believe is not my fault. and the worse about mary cris is that my friend also caught her opening his locker. Are the staff allowed to open the locker when they know it has guest's valuables inside? I think that's not appropriate. The place was fine, I had a bed and that’s all i needed. Everything was great considering the money I paid and the location of the place. 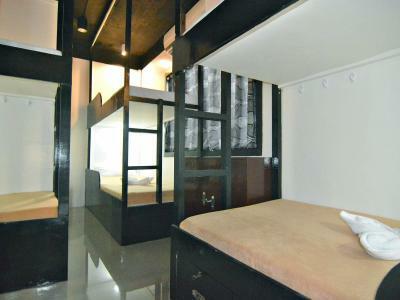 Really convenient, clean and comfortable place to stay while in Boracay. It is literally 2 minutes walk from the white beach. 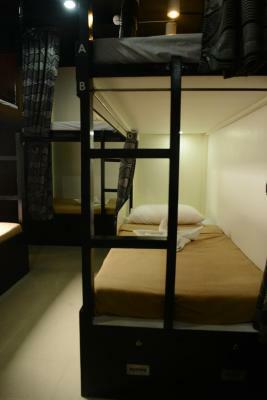 Beds are comfortable and toilets and showers really clean and with water pressure. My ferry was very delayed so I only made it at 1am and the staff still checked me in. There's only two bathrooms for three rooms (40-50 people) And when the hostel was almost full you could have spent hours in order to get in. If you get the last beds in the last room, you barely have space to move. The only common space is the reception. Shower with hot water !!! Clean. Friendly staff. A few steps to the white beach. 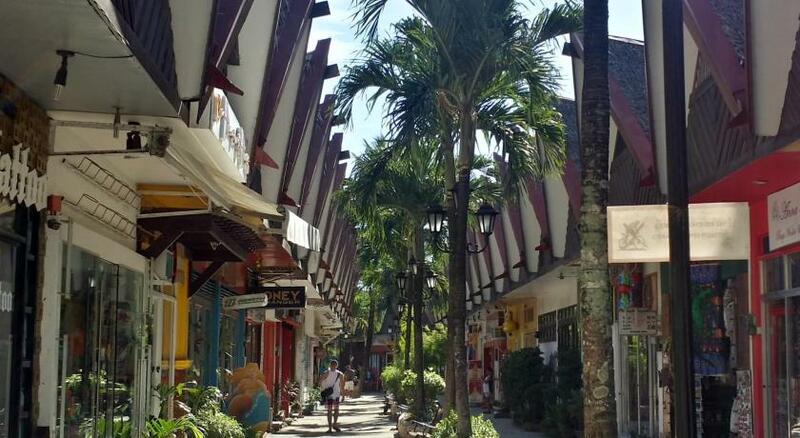 In the best area of ​​Boracay. No external noise. Big lockers. Nightly Rate is too much for such a room. No free breakfast. Shared bathroom. Chaotic rooftop.